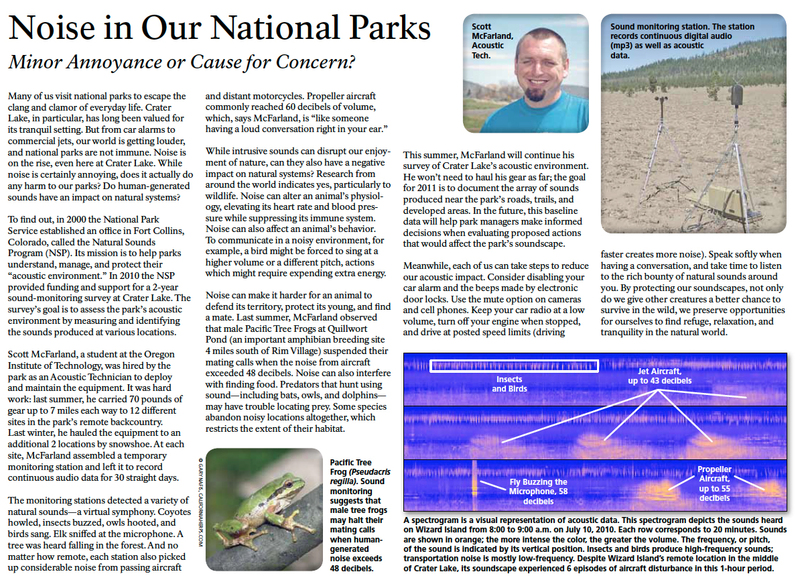 You can discover more in interesting article from Oregon’s National Park called Crater Lake. 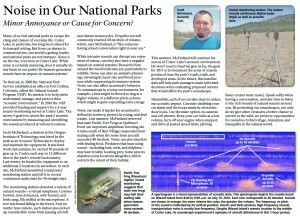 In park newspaper Acoustic Technician Scott McFarland wrote about measuring impact of noise (unwanted sound) to environment in park. There is nicely discussed impact of aircraft and fast cars. Nowadays is very hard to find really quite environment. This problem is very general because when you working in music industry you faced to similar problem – try to record nice dialogs in very quite environment. I have this problem very often.